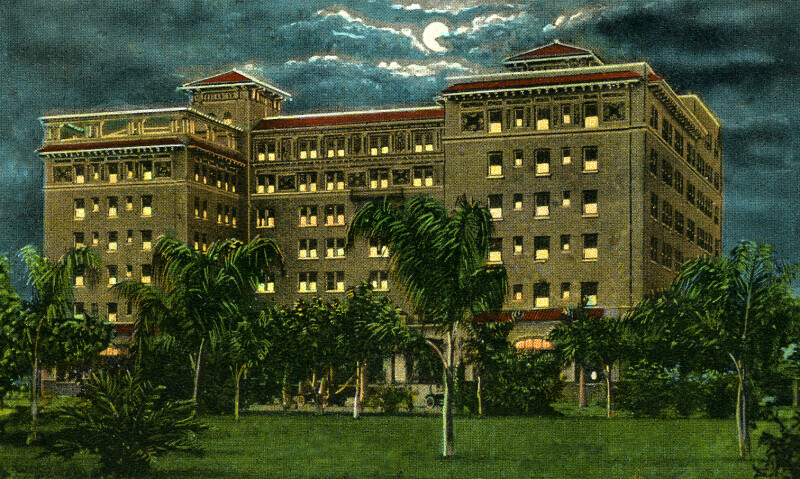 The viewer is gazing at the Soreno Hotel, from the landscaped grounds. The hotel's lights are all on at the front of the building. A full moon shines from behind the building.